Talk Nerdy To Me: Random Gadgets I am Using Right Now. Random Gadgets I am Using Right Now. I always get asked what gadgets I use most. While my answer always changes I wanted to share with you some of the unique products I am using right now (beyond the obvious!). My friend got this for me as a gift. I was secretly like "eh, really, a meme gift" but its surprisingly awesome! It a small solar powered mobile that suctions to any window. With enough light energy it creates a ton of rainbows that move around the room (rotating with its small solar-powered gears). I. hate. earbuds. I have never found a pair that stays in. 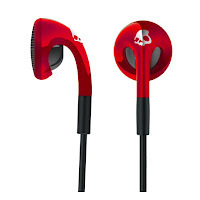 Alas Skull Candy 'Fix' earbuds. They launch in August and they actually work! Tried them out on runs and commutes for a few weeks. 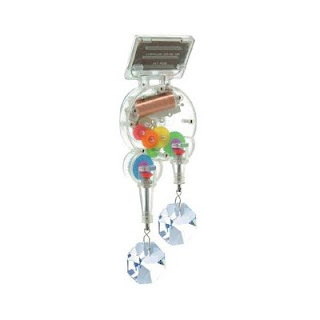 Okay, realize this isnt so much a gadget as it is quirky - but we like those kinda things too. 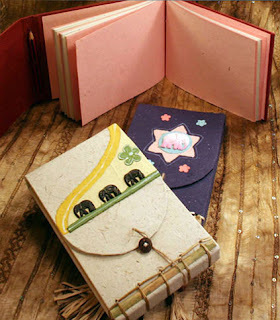 I'm crazy about the science that goes in to creating these really cool journals -100% handcrafted, 100% recycled, 50% pachedyrm dung. Yup, thats right total crap. For a unique gift I recommend the journals, note cards or greeting cards. Plus, it should be noted it's a small family run business, yay. While it doesnt beat my mom's custom hand created gems like my Pac-Man bag. 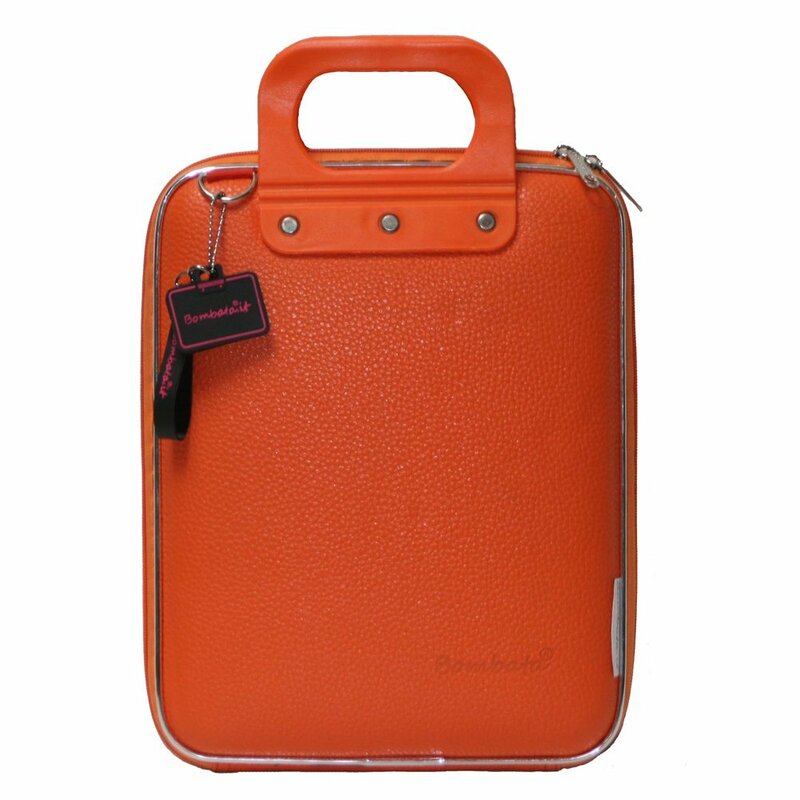 I am totally in to this gadget carryall. There are various sizes but I got the iPad size and it fits way more than that. It stores my MacBook Air 11", iPad2, 3DS and a bevy of other small gadgets like Nano, headphones, etc. It's also incredibly durable and has that nice quality look to it. Got to sport this on an Early Show segment! It appears they are sold out online but they definitely have them in store. Ring blinks with the press of a button but batteries are not replaceable. Disney > Nerds Rock Products. My friend and fab radio host @momin680news starts every interview asking me what color of glasses I am wearing! 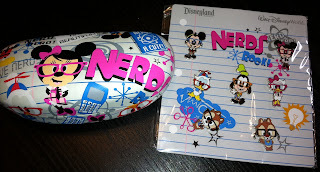 Too thoughtful when he brought me back this Nerds Rock glasses case from Disney and these super sweet Nerds Rock pins! I love where Disney is going with this. Fun for any geek. 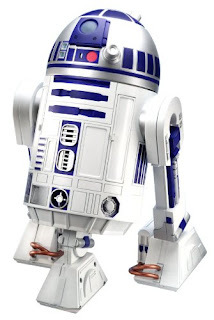 The voice activated Droid has more than 40 commands (my favorite being "Hey R2, dance"). With built in sensors R2 can follow you, patrol the place or sound an alarm when motion is detected. Make sure you catch the video.